SPORT WITHOUT LIMITS. THE AMERICAS MASTERS GAMES AWAITS YOU. 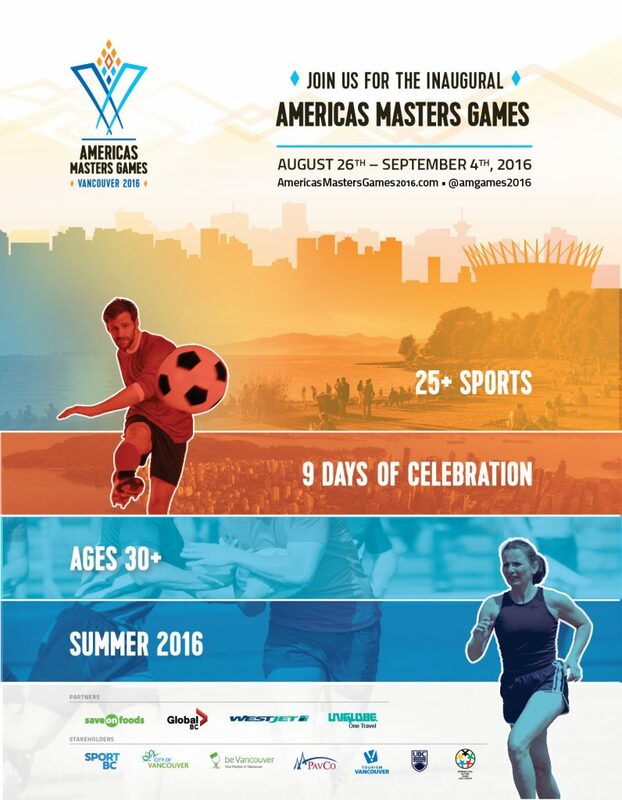 We invite the world to the Americas Masters Games for an inclusive 9 days of celebration in the summer of 2016. The Masters Games are about promoting an active and healthy lifestyle by encouraging any and all participants aged 30 to 100+ to continue to strive towards sporting success, and have fun in the process. Whether played on the hard court, or on the sandy beaches, your forearms gently rest on your bent knees in anticipation of the serve. Game on. You dive for what seems like an impossible dig, quickly get back to your feet as the ball is perfectly set for you by your teammate. You catapult through the air and with one fluid swoop, you spank the ball right through the arms of a double block at the net, painting the corner. As you land admiring the point, that’s when you realize it’s time to Master It. 6-on-6 Indoor – Shared over two venues, the courts set on the University of British Columbia’s campus become Masters indoor volleyball central. The War Memorial Gym is home to the university’s Men’s and Women’s Varsity Basketball and Volleyball teams. The UBC Student Rec Centre is the hub for rec athletics on-campus boasting championship courts and a fitness center to promote active living. 2-on-2 Beach – Kitsilano Beach. There is possibly no better place to play beach volleyball on the planet. With a spectacular sand beach along the ocean coast, a downtown skyline view in the distance, and the lush mountains and green islands in the background, Kits is a beach volleyball dream. It is no stranger to hosting many tournaments throughout Vancouver summers, and being a spot where locals flock to in the sun.